I have to start by confessing that I thought this was historical fiction when I first started it. I knew that it was a retelling of The Scarlet Letter by Nathaniel Hawthorne, but I somehow didn't read the description closely enough and assumed it was historical. So, you can imagine my confusion when modern-day things were mentioned. Anyway, I soon figured out that my expectations were off and was able to really dive in to The Outcast! I first heard about The Outcast when Juju from Tales of Whimsy wrote a love letter to the book. 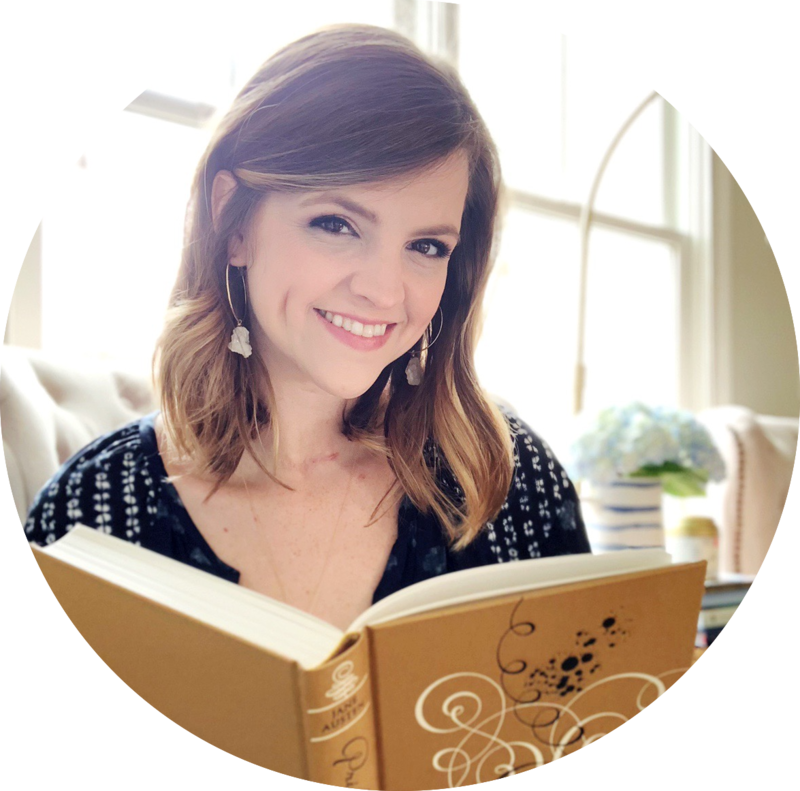 She concluded it by writing: "You are a masterfully crafted tale that stands tall above the rest. I will recommend you again and again." I was immediately intrigued, especially since she mentioned that it had very complex characters. Not long after Juju's post, The Outcast was a Kindle Daily Deal. You better believe I snagged it! 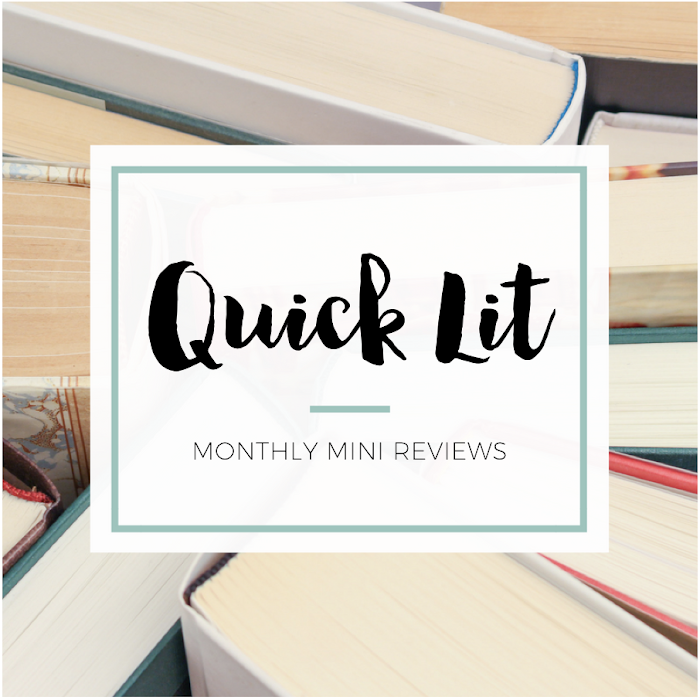 But it wasn't until I saw another review by Brenna from I Have Lived a Thousand Lives that I realized I needed to stop wasting time and just read it already. Rachel Stoltzfus was raised in an Old Order Mennonite community, but she never quite fit in. But things are worse after Rachel becomes pregnant out of wedlock. She refuses to name the father of her child, and her decision places her in a precarious position within the community. Rachel is trying to take care of her sick twin sister, but her brother-in-law (the bishop) finally forces her to leave. The religious leaders cannot allow her to continue to "flaunt" her sin before the congregation... and that sets everything in motion in this quiet, emotional tale. Although I do enjoy reading Christian fiction, I almost never read any Amish fiction. It's a popular genre within Christian fiction, but I don't typically gravitate towards it when I'm choosing books. 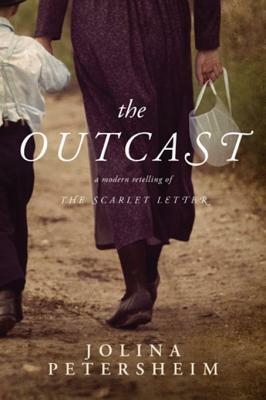 However, I loved The Scarlet Letter so that connection (in addition to the two positive recommendations I've already mentioned) really put this book on my radar. I think the setting and community worked perfectly for this story. Petersheim and her husband both have an Amish and Mennonite heritage, which is evident in this story. She's writing about a world that she's very familiar with, and that became clear to me while I was reading. The strict, religious society was the perfect backdrop for the themes tackled in The Outcast. The characters absolutely shine in this story. They have such depth! Jealousy, shame, hypocrisy, judgment, forgiveness, pride, repentance... all of these complex emotions are on display. I really love how Petersheim wrote characters that felt so real in their humanity. The religious community (and issues/questions that are common in it) is integral in The Outcast, which is fitting since it was also so important to The Scarlet Letter. It's one of the central issues in both books - who you are versus how the world sees you. For some, it's being seen as a blameless but hiding your sin in shame. And for others, it is being judged for your mistakes by the world when you've already repented and been forgiven by God. This is one thing I loved in The Scarlet Letter, and it's portrayed so emotionally in this retelling, too. There are two narrators in The Outcast - Rachel and a man named Amos. Now, Amos was the one part of this book that didn't work for me. He is actually deceased when the story opens and is narrating as more of an omniscient observer. To be honest, that was the one thing about this book that I frustrated me at times. I could see why Petersheim chose to share his point of view, but it was the one element that broke up the flow of the story for me. I think the question of the baby's father is pretty evident early on in the novel, but I didn't feel like it was meant to be a huge surprise when it was revealed. Truly, this is a book where the journey is more important than the revelation. This exploration of sin, guilt, and redemption kept me captivated. If you're a reader who is drawn to really well-developed and complex characters, this is a book that you need to consider. I really look forward to more from Petersheim in the future! "Judah and I had our own secret language, and sheathed in its safety, he would often confide how desperately he wanted to leave this world for the larger one beyond it. A world he had explored only through the books he would purchase at Root's Market when his father wasn't looking and read until the pages were sticky with the sweat of a thousand secret turnings." The Scarlet Letter is one of those classics I keep meaning to get to...This re-telling seems really intriguing though. I don't read much Christian fiction (or Amish fiction), but I find the Amish culture fascinating, so I think I might really like this one! This isn't the first glowing review I've read for this book. I wasn't a huge fan of TSL back in high school (although I really loved certain chapters), but I can't ignore the praise I've seen for this one. Totally blaming you for my TBR pile! When I was in high school, I actually wanted to read THE SCARLET LETTER. Living in the Philippines, we never really had required reading for our English classes, but I lived for the stories my cousins told of being asked to read classics like that for school. THE OUTCAST sounds like it's written well, compelling and moving in equal parts. Lovely review! I'm glad you liked this book! It's funny to me that you thought it was historical fiction, because that's exactly what I thought it was too! I love love love love love this one. My favorite book of 2013. SO glad you liked it. For some reason I didn't immediately identify the father. Maybe my innocent heart couldn't see that betrayal coming. Isn't Jolina fabulous? I can't wait for her new book. This sounds awesome! I love The Scarlet Letter and while I don't really read Amish Fiction, I DID just read the Temptation Series by Karen Ann Hopkins (not quite the same because it is YA) in which an Amish boy and a non-Amish girl fall in love. Not comparing the two but I LOVED learning about the culture and customs, so based on that I almost think I would be willing to pick up books like this one. I just checked one of my library systems and they do not have it digitally, but I'm going to check and see if my local library has a copy. Thanks gal!